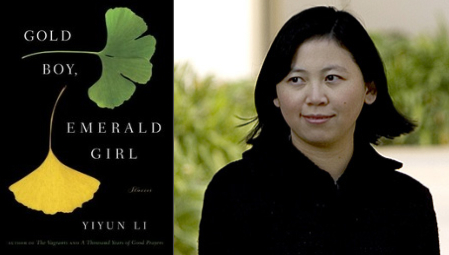 In the 63rd in a series of posts on 2010 short story collections entered for The Story Prize, Yiyun Li, author of Gold Boy, Emerald Girl (Random House), discusses how Irish author William Trevor's work serves as an inspiration for her own. The opening story of the collection, "Kindness," is a long story that was written to talk to William Trevor's novella, Nights at the Alexandra. "Nights at the Alexandra" is narrated by an older Irish man in a provincial town who has never married; "Kindness" is narrated by a middle-aged woman in Beijing who has chosen not only to stay single but also not to love anyone. I opened the story with three sentences that echoed the opening sentences of "Nights at the Alexandra," and while writing it, I imagined my narrator speaking to the narrator in Trevor's novella. Both characters stoically lead a solitary life, yet both are capable, and are proofs, of love and affection and loyalty. Their conversation would not have happened in reality, but I hope that by speaking to one person in mind, my narrator, in the end, speaks to many. The seeds of many stories in the new collection came from newspapers. But oftentimes news reports either don't give you enough or give you the wrong things, and when that happens, I feel compelled to write a story to understand the situation better. "House Fire" was inspired by a brief report on six retired women setting up a business as private investigators, but who the women really were seemed not to be the journalist's concern, so I set out to create six women to understand their past and present. "The Proprietress," similarly, started when I read reports about a woman who asked to have a baby with a husband on death row. The reports, like the journalist in the story, focused on things that were less fascinating to me, so I started writing to understand the woman, but the story took on a new direction and the woman became a minor character. In general, I think I choose situations that fascinate or intrigue or baffle me, and I make up a set of characters to live through those situations so I can understand them better. 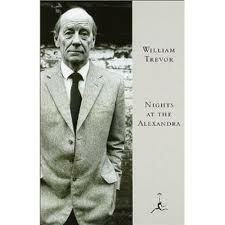 William Trevor has been an influential writer and mentor to me. Just as "Kindness" was written to talk to "Nights at Alexandra," I like to imagine many of my stories having conversations with his stories (and many stories in the collection were written in that way, with a specific story of Trevor's in mind to begin with). I was talking to a friend one time about how it felt odd to see the publication of a book because writing was such a private business. My friend said that I should imagine that my books are out in the world to make some space for other writers I would like to see published and read, and I think that is exactly what Trevor's kindness and generosity mean to me: that his books have made space for my books to exist.